It's 20:50 in Newport, USA right now. I-95 NB Northbound Milepoint 159.1 A view of the current traffic. Carmel, Maine: I-95 Southbound Near Milepoint 177.2, 11.2 miles away. Bangor, Maine: I-95 Southbound Near Kenduskeag Avenue Bridge, 24.4 miles away. Waterville, Maine: I-95 Southbound Near Milepoint 128.2, 26.4 miles away. Waterville, Maine: Waterville Senior High School, 26.4 miles away. Orono, Maine: I-95 Southbound near Milepoint 191, 29.6 miles away. 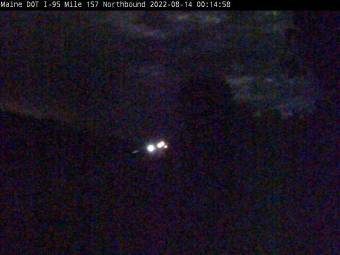 Sidney, Maine: I-95 Southbound Near Milepoint 119.2, 34.5 miles away. Ellsworth, Maine: Ellsworth Waterfront Park, 46.5 miles away. The Forks, Maine: Snowmobiling - Northern Outdoors Adventure Resort, 48.4 miles away.